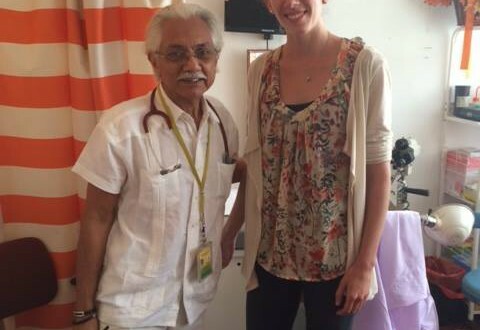 Working as a volunteer in a medical clinic is beneficial for both you and the community! It will not only help you build your medical Spanish skills, but also give you valuable insight into the unique healthcare challenges facing Costa Rica and Panama. You will build connections with healthcare professionals in these countries. Observing doctors working, taking vital signs and joining doctor meetings are just some of the activities that you might get involved in. The Floating Doctor's mission is to reduce the present and future burden of disease in the developing world and to promote improvements in health care delivery worldwide. There are mobile clinics on Isla Colón (where our Spanish school is located) and also multi-day mobile clinics to the surrounding Islands. Minimum donations are required by this organization if you want to volunteer with them. Tasks: Assist doctors with doing wellness checks on children and working in the pharmacy. You will see patients while under supervision of the floating doctor’s medical director at the clinics. Other requirements: Being a student or professional in any medical field. Min time of dedication: One week. Work schedule: On Tuesdays and Thursdays in the large building behind the airport between 3 and 6 pm. For multi-day clinics check with us! When closed: the 23rd of December until 1st of February. Internships available: Not at the moment! The clinic in Boquete is a government owned clinic that provides care to people without insurance. Patients are mostly indigenous people without much education nor financial stability. Malnutrition, tuberculosis, and certain parasites are common problems that people face. There are several doctors in the clinic. sucha as general practitioner, pediatrician, gynecologist, and internal medicine. Since the clinic is focused on preventive care, there is also a nutritionist and a psychologist, as well as a physical therapist. They each have their own patients. Tasks: Depends on your experience, from only observing, to doing basic physical exams or assisting with treating patients. Work schedule: 8 am until 3 pm, 5 days a week.